Authentic New York style pizza and Italian cuisine. From weddings to office meetings and everything in between. 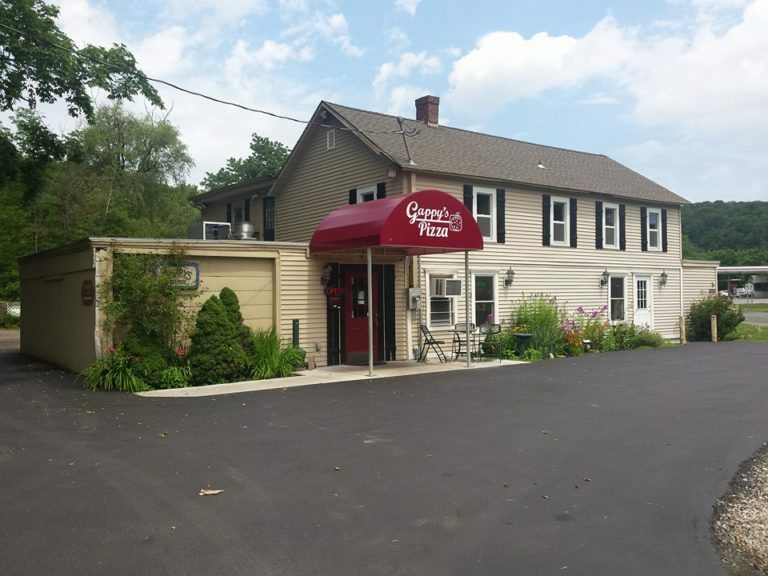 Gappy's is known for our oversized pizza slices, recognized for “Best Sauce” in the Hudson Valley and was recently featured as the pizza shop to visit in Putnam county by New York Upstate. Gappy’s has become the go-to pizza restaurant for locals and travelers alike. Owner, George Papazian opened the doors of Gappy’s Pizza in January 2002. Pick your food up yourself! Family Owned, Family Operated, Family Oriented. At Gappy's we know you have many choices in where you dine. That's why our staff is dedicated to ensuring that your family's dining experience with us is the most welcoming and satisfying. From the cleanliness of our facility, to the quality and taste of our food, we promise to maintain the highest standards and hope to make you and your family regular guests. If you're not completely satisfied with your experience at Gappy's please use the form below to get in touch with us so we can make things right. Interesting way to use pizza. Love the idea. Love pizza! Love this almost too much.